Monday's Mischief | Pool Time. Well summer is officially here so that means only one thing. It's pool time! 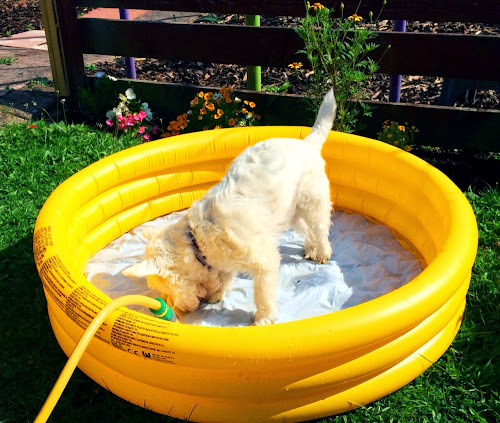 As I mentioned in my Summer Safety Series one great way of keeping your dog cool in the hot weather is a small paddling pool. 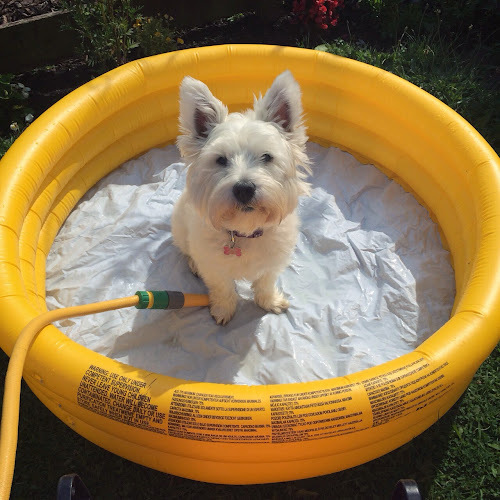 Lottie's having her summer groom tomorrow so we thought its best she gets some pool time today (We tend not to let her in after she has been groomed). Come on mum fill it up! 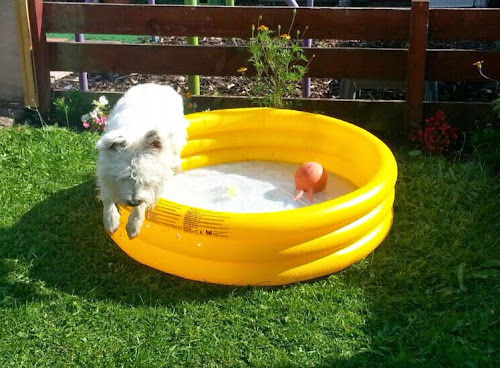 Previous times when Lottie has been in the pool she hasn't been 100% sure. She goes in for a few seconds then jumps out. This time I decided to place a treat inside the pool and here's the results. 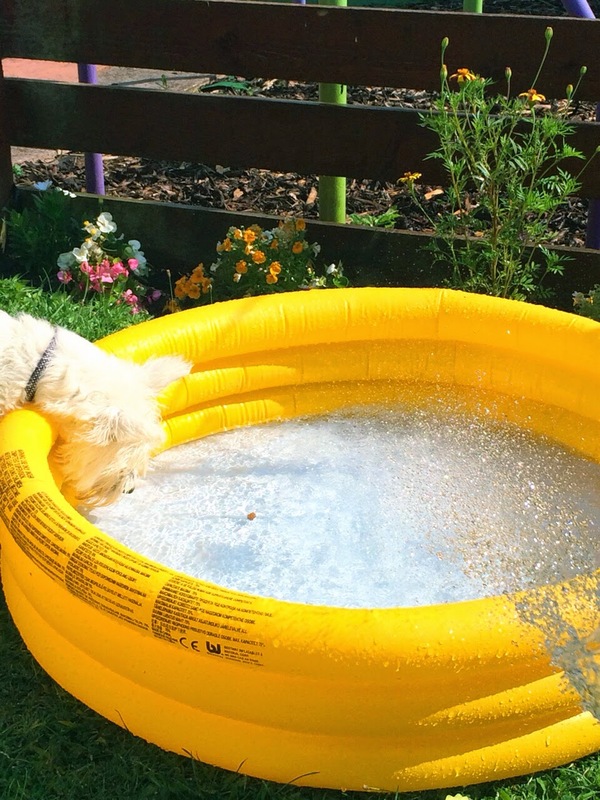 Don't worry guys the thing floating in the pool is just a treat! She spend at 20 minutes trying to get the treat out which she eventually did do. 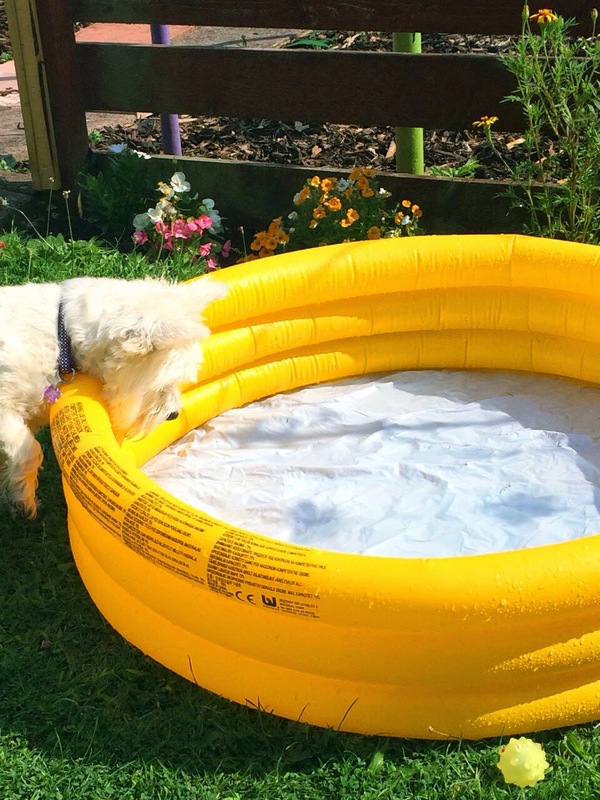 I highly recommended this for dogs that are not sure of water. It sure has worked with Lottie and she even kept going back for more long after the treat had gone. Mr. N is getting groomed this week as well and I try to make sure he stays clean for at least a day or two afterwards. Look at all that fun!!! Ahh, looks like she had a wonderful time. We have a little plastic one but I am not sure I am brave enough to use an inflaitable one for our two. 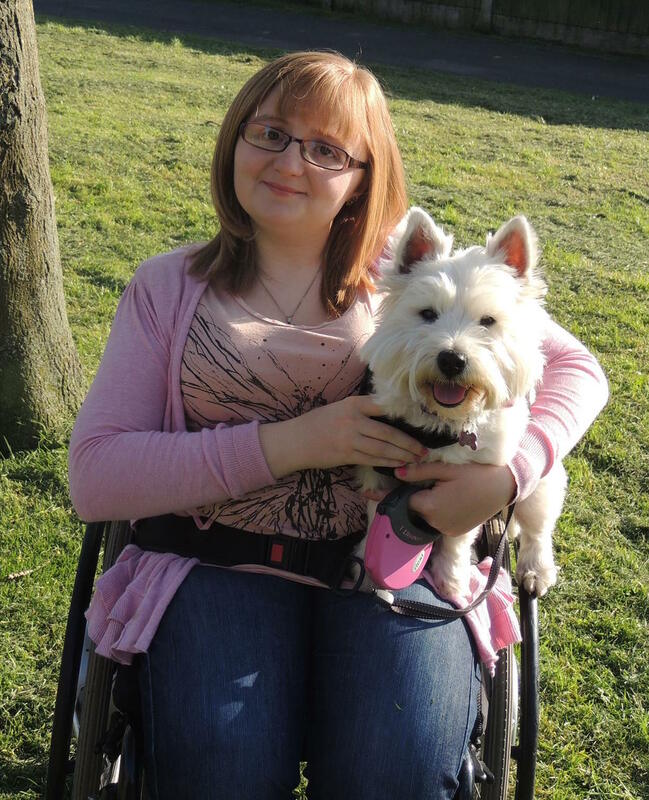 Looks like it worked great for Lottie though! Tasty Tuesday | Kong Quest Review. 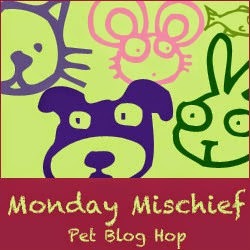 Monday's Mischief | Lottie's Birthday Treats.